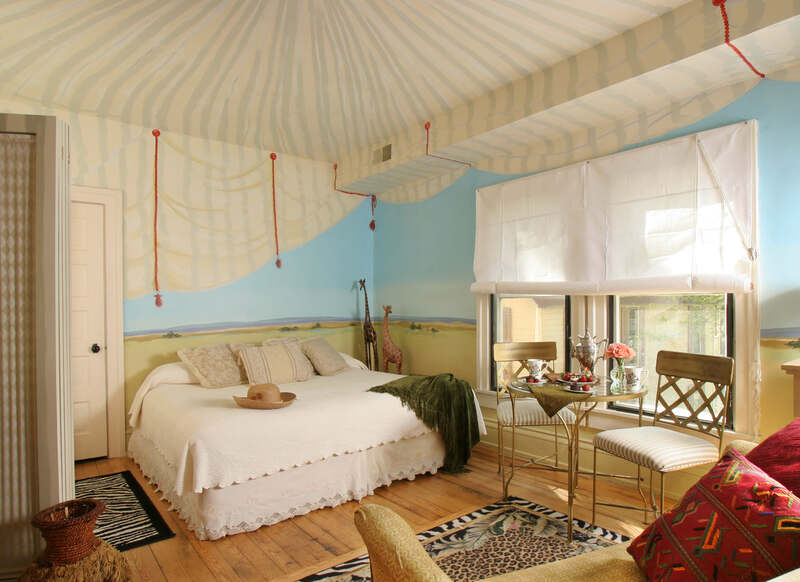 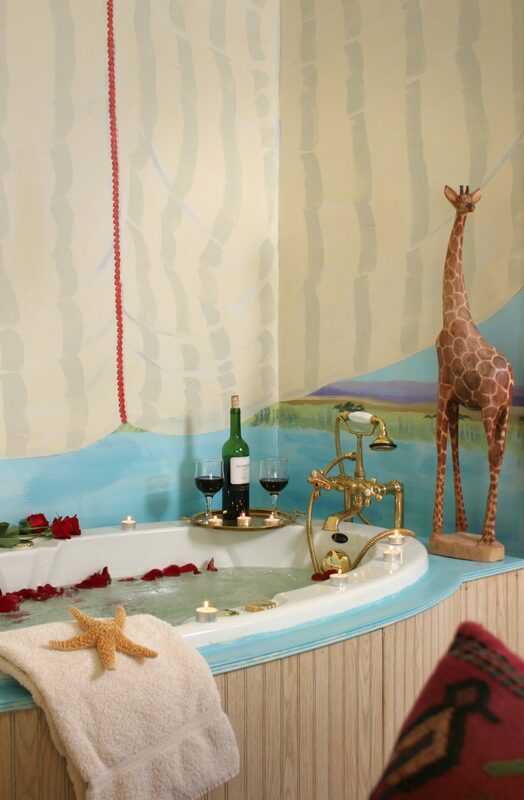 Take a trip to Africa with Isak Dinesen as you slumber under a dreamy safari tent and embrace the wildlife surrounding this beautiful room; throughout your journey indulge in the largest two person jacuzzi The Spencer has to offer. 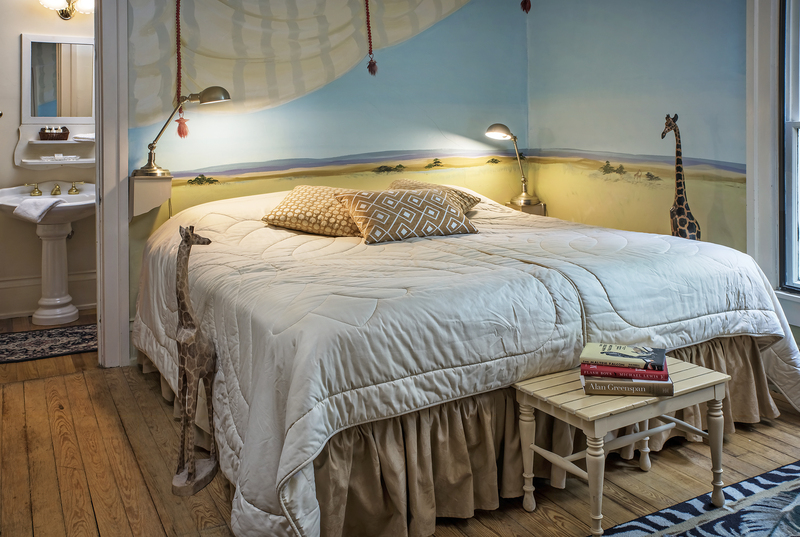 Imagine… you’re on safari on the African savanna … look out over the plains at the wildlife … spend the night in your safari tent… one of our most popular rooms. 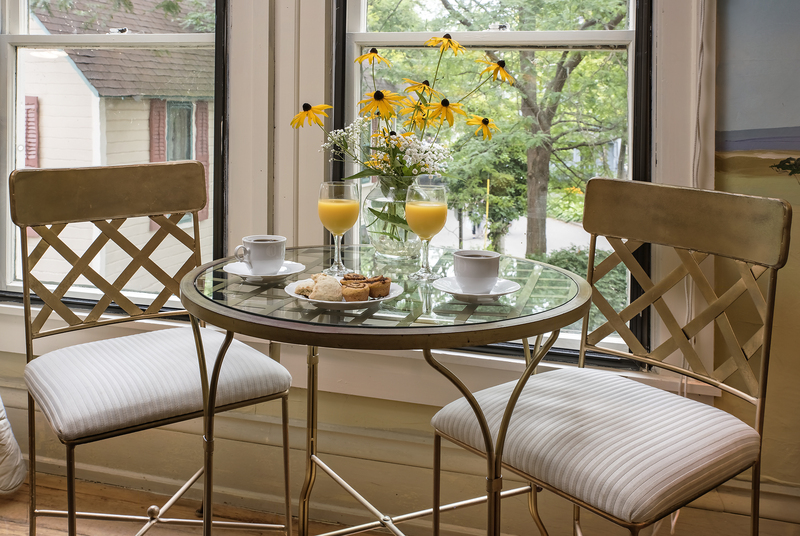 Full week stays during the 9 week Chautauqua Season include breakfast every day and dinner five nights (Monday through Friday) each week.The Spencer can also assist guests in arranging travel insurance to cover unforeseen circumstances that may cause a guest to cancel their reservation.